However spontaneous you may claim to be when it comes to jet-setting away for last-minute vacations, even the truly wild at heart have to admit that a truly successful vacation typically goes hand-in-hand with good planning. The very same rule can apply to locations that are hoping to transform a space into a hotspot for tourists. After only two years of thriving in the biz’, the Revel Casino in Atlantic City has announced that they will be closing their doors permanently this September. Although this may seem like a serious fail, it actually isn’t the worse one in travel record. Surprisingly, there are numerous entertainment parks, hotels and beaches that have lost everything as a result of ignoring the little details. Here at the trending Buzz, we’re showing you some of the greatest (or worst) travel fails of all time. 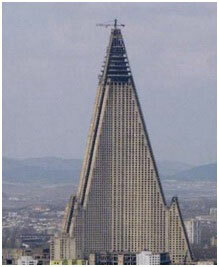 In North Korea, the Ryugyong hotel was built with the intention of becoming the tallest hotel on planet earth. The architectural plans provided suggested that the hotel would be luxurious and superlative in just about every way, with seven restaurants placed neatly within the 100-foot spin and peak over the skyline of Pyongyang. The stunning concept was due to be revealed to the public by the World Festival of Students and Youth in 1989, but delays occurred due to a lack of material supplies. In 2008, the building received an attempted kiss of life from an Egyptian company, but to this day, the hotel remains unoccupied, and uncompleted. 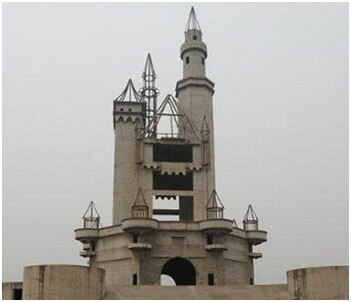 North twenty miles from the center of Beijing, aside a busy highway, sits the creepiest fantasy castle you may ever see, known as ‘Wonderland’. It was supposed to be the largest amusement park in Asia, but construction came to a sudden halt in 1998, when contractors could not come to terms with local farmers over the price of properties. The result is an apocalyptic, abandoned Disney-world type location with no signs of life. Sheikh Mohammed bin Rashid Al Maktoum, dreamed up a concept of artificial islands that would represent a miniature map of the world. The idea that the rule of Dubai had come up with, was to turn these ‘world islands’ into a playground dedicated to the famous and rich. Construction of the islands, all three hundred of them, was to take place using entirely dredged sand, and it began in 2003. However, when the financial crisis hit the actual world, the fourteen-billion dollar concept was forced to a halt. 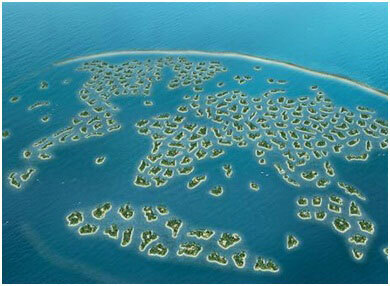 At this point, only two of the three hundred islands have actually emerged. With a location that’s closer to the equator than Rio de Janerio, and over 2,600 miles of oceanfront, Chile should be a paradise for beach-goers everywhere. However, the Humboldt Current from the Antarctic point of South America to the western seaboard of Chile is incredibly cold, keeping sunbathers far away. In 2006, a resort called ‘San Alfonso de Mar’ came up with an idea called ‘the crystal lagoon’, the largest swimming pool in the world. In front of the sea, it contains 66 million gallons of warm water, and is so huge that even sailboats can move around inside of it. 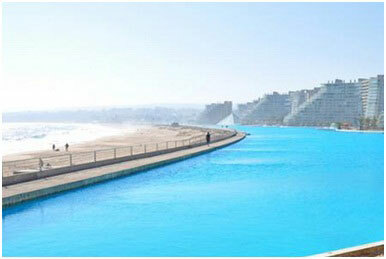 However, with a construction cost of over $2 billion, and four million every year in annual maintenance, this pool may never actually make a profit, or improve the tourism of Chile. 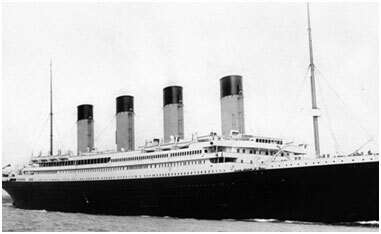 Probably the biggest travel fail of all time has to be awarded to the maiden voyage of the RMS Titanic. Costing approximately $7.5 million to construct in its time, which equates to around $400 million today, the British passenger liner hit a huge iceberg on its journey to New York City, sinking on April 15th, 1912. It was, at the time, the largest ship around, and considered to be completely unsinkable. On board, there were 2,224 passengers, including some of the wealthiest people in the world, alongside hundreds of emigrants from Scandinavia, England, and Ireland. Only a little over 700 people survived, making it one of the worst vacations of all time.